The Philadelphia area's newest 100% gluten-free bakery is opening its doors tomorrow. 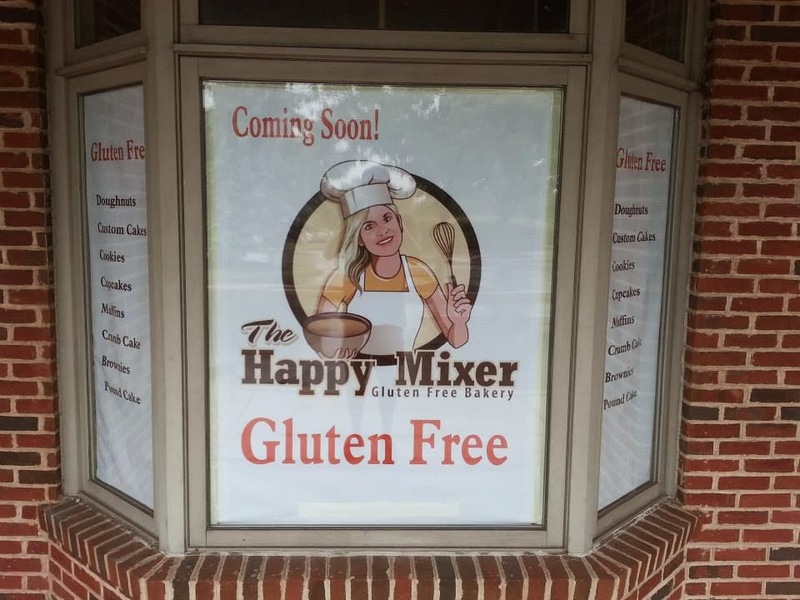 The Happy Mixer in Chalfont (4275 County Line Rd., 267-663-7209) will offer donuts, cakes, muffins, brownies, cookies and more. Hours are 7 a.m. to 6 p.m. Monday to Saturday and 7 a.m. to 4 p.m. Sundays. The Fat Ham, the pork-centric Southern-style restaurant just opened in the University City section of Philadelphia (3131 Walnut St., 215-735-1914), can accommodate gluten-free requests. Chef-owner Kevin Sbraga, who also runs Sbraga, a touted restaurant along the Avenue of the Arts, won Bravo's seventh season of "Top Chef." Reader Nicole F. let me know via Facebook that Lao-Thai Vientiane Cafe, in the Cedar Park section of West Philadelphia (4728 Baltimore Ave., 215-726-1095), notes gluten-free options on the menu. She posted a review of her meal there at her GF Flamingo blog. In Wilmington, Vincente's (5914 Kirkwood Hwy., 302-543-6451) can adapt several entrees to be gluten free and also offers gluten-free pasta and bread. Lamberti's Cucina in Feasterville (1045 Bustleton Pike, 215-355-6266) offers gluten-free entrees and if customers bring in gluten-free pasta, the kitchen will prepare it for a dish. In Magnolia, New Jersey, the new Royal Cracovia (510 S. White Horse Pike, 856-282-3300) has gluten-free pasta on the menu. The Ravitz ShopRite markets in Cherry Hill, Marlton and Mt. Laurel are now carrying a variety of fresh gluten-free sweets from The Little Bakery in Blue Bell. The Gluten Free Philly app for Android and iOS devices is now available. Find more than 1,200 area gluten-free-friendly businesses on the go, search by cuisine or neighborhood, and more! Last night we ate at CPK in Plymouth Meeting based on your review. My sister and I split the pepperoni pizza, she got the Morroccan salad and I got the wedge salad. It was great!! The pizza was perfect!